The Emergency Oxygen Provider course is a basic 3 hr course that develops your skills in, and teaches you to recognise illnesses that are treatable with oxygen. 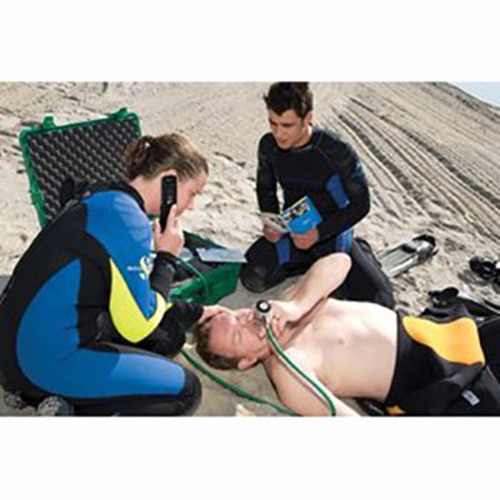 The Oxygen Provider Course can be a standalone course or it can be run in conjunction with the EFR course. Home Study Plus 3 hrs classroom. Be the one ready to help a fellow diver should the need arise by becoming a PADI Emergency Oxygen Provider. The PADI Emergency Oxygen Provider Specialty course is an entry-level emergency oxygen course that also teaches you how to recognize dive illnesses treatable by emergency oxygen. Though suited for divers, this course has no prerequisites and doesn't include dives, which means it is equally applicable to those who are around divers - boat crew, nondiving buddies, lifeguards, and shore staff. You do need previous CPR or first aid training to take the course. The course duration is 4 hours. Some pre-reading must be completed before starting the course. We do also offer a Private Option where we will run a program on the day and time you choose for a premium of only $75. If you choose this option, just note the date and if you prefer am or pm in the comments.